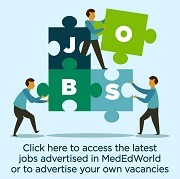 AMEE Newsletter, formerly MedEdWorld Select, is a fortnightly email newsletter which brings together a selection of the key information most recently submitted on MedEdWorld by MedEdWorld Contributors and members from around the globe. Recommended Journal Articles and Textbooks. AMEE Newsletter is sent fortnightly by email to over 4000 subscribers and all items added to the website will be considered for inclusion. For information on how to add an item see our guide or watch our YouTube 'How To' Video. To sign-up, log in or register as a user for free. 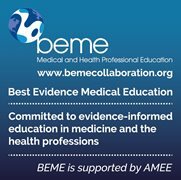 AMEE members can log in simply by using their AMEE username and password. Once logged in visit your 'My Profile' found on the top menu bar, select the 'Edit' tab and put a tick in the ‘Subscribe to MEW Newsletter’ box. Remember to click the ‘Save Changes’ button to ensure you save your preferences. Please also ensure that your email address is up-to-date. 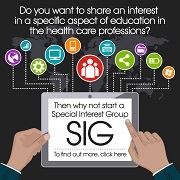 In your 'My Profile' area you may also like to share some information about yourself, this information is available to members of the community only. Should you require further assistance contact us.